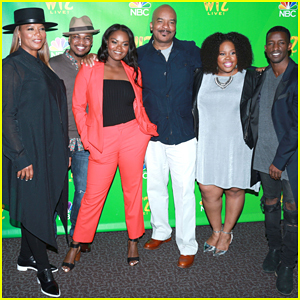 'The Wiz Live' Cast Reunites For Emmy Panel Discussion! Queen Latifah is all smiles as she poses for photographs at The Television Academy’s panel discussion for NBC’s The Wiz Live! held at The Director’s Guild Of America on Wednesday (June 1) in West Hollywood, Calif. The 46-year-old entertainer was joined at the event by her co-stars Mary J. Blige, Ne-Yo, Shanice Williams, David Alan Grier, Amber Riley, Elijah Kelley, executive producers Craig Zadan and Neil Meron, director Kenny Leon, and moderator Holly Robinson Peete. The panel, which was presented for Emmy voters and fans, also included live musical performances from the cast members. Celebrities React to 'The Wiz Live' - Read the Tweets! Millions of people around the country are currently watching NBC’s The Wiz Live and that includes a ton of celebrities as well! Lots of celebs, including Broadway favorites like Kristin Chenoweth and Audra McDonald (who starred in The Sound of Music Live), are chiming in with their thoughts on the production… and it seems like everyone is loving it. 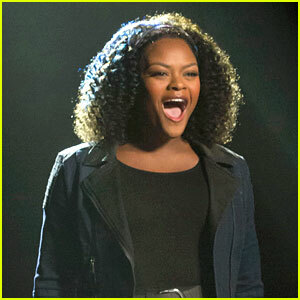 Shanice Williams, who is playing the role of Dorothy, is getting a whole lot of love from the stars and it seems this production is getting the best reviews of any of NBC’s live musicals thus far. Yay NBC and #TheWizLive LOVING THIS ONE!!!!! NBC's 'The Wiz Live' - Full Cast, Performers, & Songs List! There are only a couple hours left until NBC’s The Wiz Live airs and we are so excited to see a new vision of the beloved musical. Newcomer Shanice Williams will be joining a star-studded cast of veteran actors and singers in the production, which is airing live from a sound stage in New York. The one-night-only special is being directed by Kenny Leon and industry vet Harvey Fierstein adapted the musical’s script for television. We have recapped the full cast list for you, as well as all of the songs that are sure to be stuck in your head. Tune in at 8/7c tonight (December 3). Diane Kruger looks stunning in a full black outfit while walking the carpet at the Balmain x H&M Collection Launch on Tuesday (October 20) at 23 Wall Street in New York City. Also in attendance at the event were Zachary Quinto and his model boyfriend Miles McMillan, The Knick‘s Eve Hewson, fashionista Alexa Chung, singers Ne-Yo and Elijah Kelley, race car driver Lewis Hamilton, and model Johannes Huebl. Diane took to her Instagram account the day before to share her experience from volunteering for God’s Love We Deliver. “So fun making cookies with you guys ❤️ If you live in NY, come volunteer ! @godslovenyc….If you want to help out, give them a call and register for one of their shifts ! I highly recommend the dessert shift :)” Diane captioned the below photo. 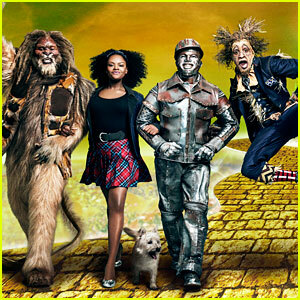 The first image of the cast of NBC’s The Wiz Live has been released and it features stars David Alan Grier as the Cowardly Lion, Shanice Williams as Dorothy, Ne-Yo as the Tin Man, and Elijah Kelley as the Scarecrow. The musical is a re-imagining of the classic movie The Wizard of Oz and it is set to air as a three-hour live event on Thursday, December 3. 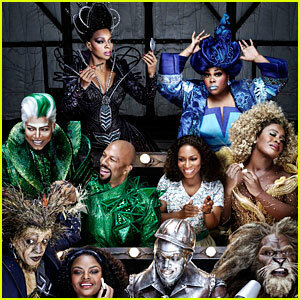 Also featured in the cast are Queen Latifah as The Wiz, Mary J. Blige as Evillene, Uzo Aduba as Glinda, Amber Riley as Addaperle, Common as Bouncer, and Broadway’s original Dorothy, Stephanie Mills, as Auntie Em.